Just do it... tomorrow! What an appropriate text decal for those who just need to spend some time doing nothing, rather than that one thing that is on their agenda. 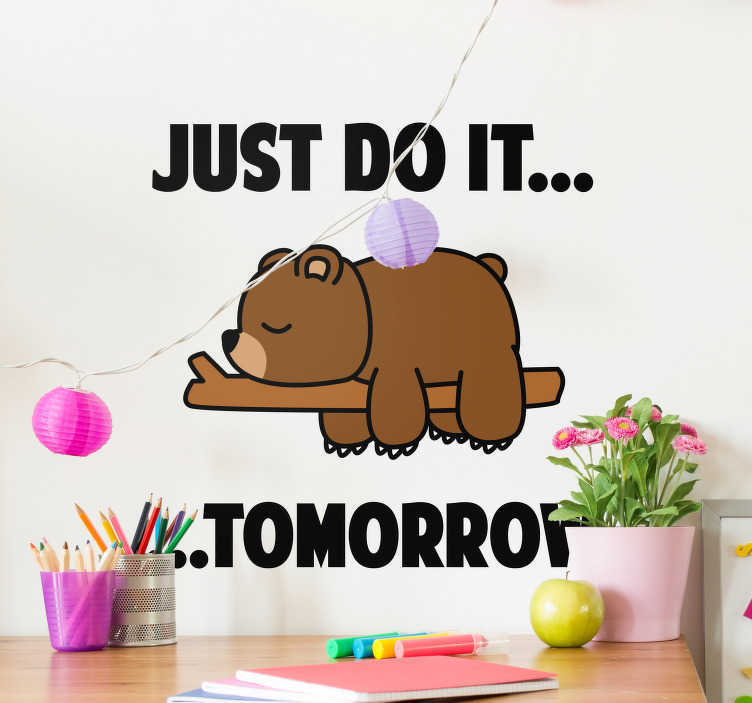 You can still do it; just do it tomorrow and take some time to rest now! The colour of the text on this animal decal can be changed on request.